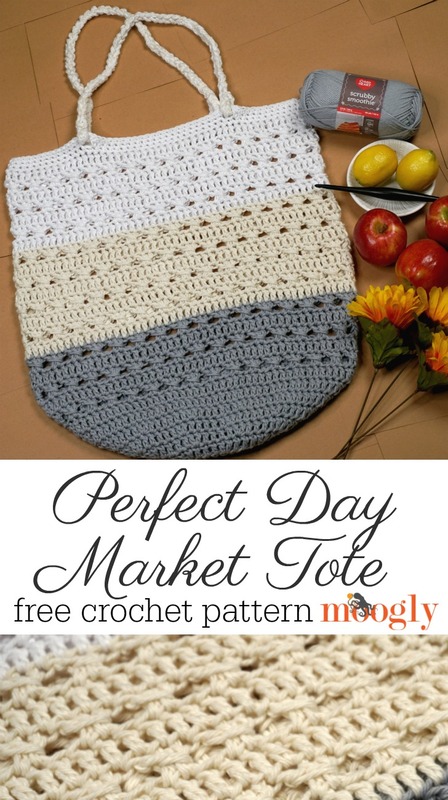 Perfect Day Market Tote Bag - Free Crochet Pattern on Moogly! 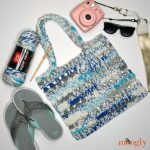 The Perfect Day Market Tote was inspired by all my trips to the local farmer’s market this season – the start to a perfect summer day! But you don’t have to take it to the market – it’s handy wherever you go. 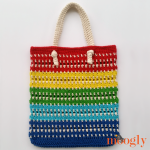 And it’s a free crochet pattern here on Moogly! Disclaimer: This post includes affiliate links; materials provided by Red Heart Yarn and Furls Crochet Hooks. 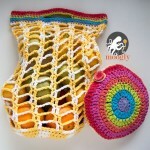 This is a big, big market bag – but the clever thing about this pattern is that you can actually make it any size! 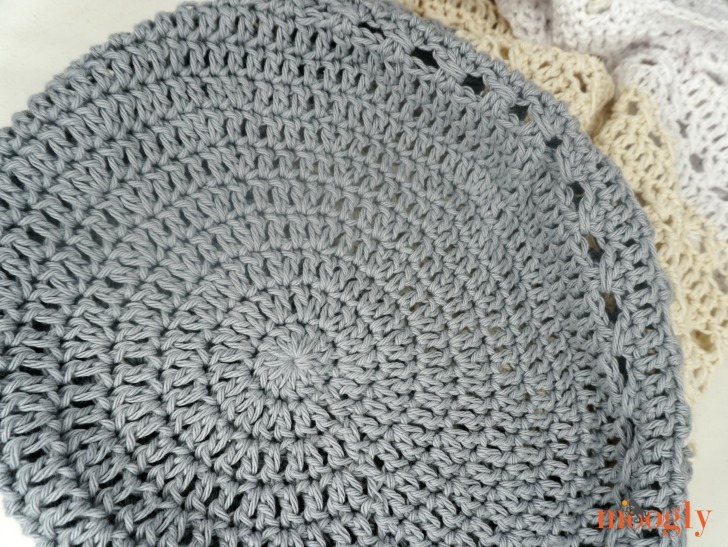 Just stop increasing in circles when you’ve got the base size you like, and then crochet on up the sides (starting with Rnd 9). You might want to add or subtract a few more rows, depending on the overall size you like, but that’s easy enough too, with a simple two-row repeat. Then it’s just a matter of figuring out your handle placement (and I have a tutorial for that linked below). I made the Perfect Day Market Tote in three lovely neutral shades of Red Heart Scrubby Smoothie – it’s the perfect yarn for this project! And it comes in tons of colors – so I can’t wait to see which ones you choose for your Perfect Bag! Click here to buy the yarn on RedHeart.com! 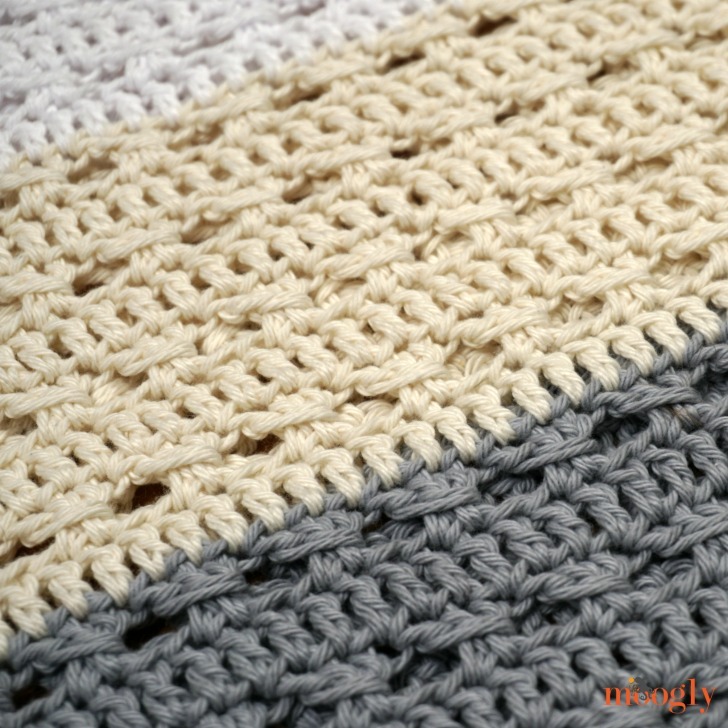 If preferred, substitute a Chainless Starting Double Crochet for the “Ch 3” beginning Rnds 1-30. If preferred substitute a Standing Double Crochet for the “Join with sl st and ch 3” at the beginning of Rnds 16 and 24. Rnd 12 – 15: Rep Rnds 10 and 11 twice; break Color A.
Rnd 16: With Color B, join with sl st and ch 3 in first st of previous rnd, dc in each rem st around; join. Rnd 17: Repeat Rnd 11. Rnd 18 – 23: Rep Rnds 10 and 11 three times; break Color B.
Rnd 24: With Color C, join with sl st and ch 3 in first st of previous rnd, dc in each rem st around; join. Rnd 25: Rep Rnd 11. Rnd 26 – 29: Rep Rnds 10 and 11 twice. Rnd 30: Repeat Rnd 10. Rnd 31: Ch 1, sc in each st around; join. Place stitch markers in sts # 11, 33, 59, 81. Step 1: Holding Colors B and C together, tightly chain to 112″ inches, break yarn, leaving a long tail on each end. Step 2: Tightly chain each row of chains as if it were a strand of yarn. Check to make sure the handles are now the same length, removing chains if needed. Step 3: Insert the end of each handle into a ch-3 sp in Rnd 32 from RS to WS. Using the long tails, sew the end to the 8th chain from the end, burying your tails inside the handles. One handle should be inserted through the spaces at sts #11 and 33, and the other at sts #59 and 81. And that’s how to make the Perfect Day Market Tote! It’s pretty, practical, and ready for customizing – I hope you enjoy making it your own! I can’t wait to see what colors of Red Heart Scrubby Smoothie you choose! 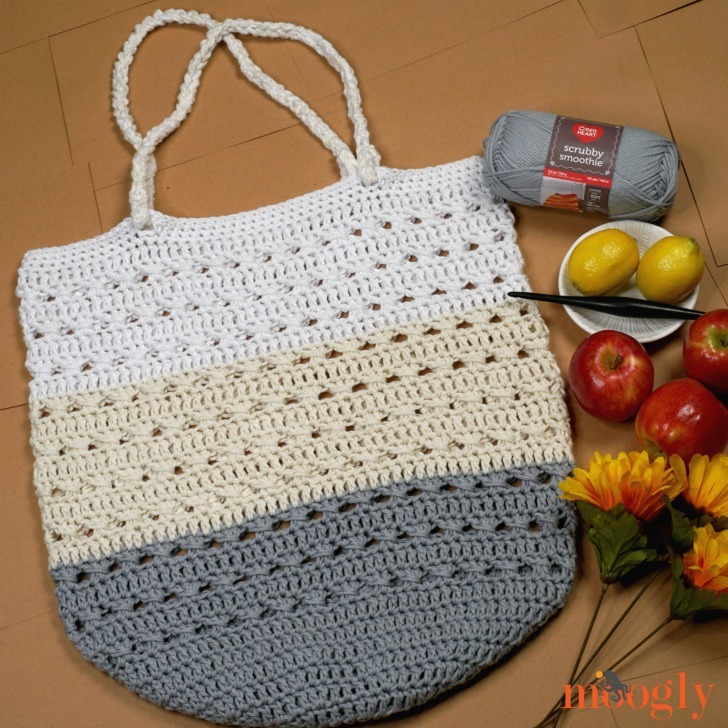 So if you make the Perfect Day Market Tote and share it on social media, be sure to tag me @mooglyblog or #mooglyblog – and happy crocheting! Written pattern copyright Tamara Kelly 2018, all rights reserved. Please do not reprint or repost this pattern, but please do link to this page to share this pattern with others. To print or download, use the Print Friendly button below, or go to PrintFriendly.com, or right-click to copy and paste it into a word processing document if those options do not work for you (please note that Print Friendly is a free outside website that the button links to, and you can click here for a tutorial on how to use it, but I cannot provide additional technical support for this service). If you wish to make items for sale from this pattern or translate it to another language, please visit the About page for details. Thank you to Red Heart Yarn, Furls Crochet, and Clover USA for providing the materials for this pattern. I love your patterns but can’t get Red Hearts Yarn as I live in Western Australia. Any ideas? Thank you so much Lynette! I don’t really know what yarns are available in Australia so I can’t recommend specifics, but I would just try to match the fiber and the weight whenever possible – so a medium weight cotton would be good here. And since it’s not a garment, the exact sizing doesn’t matter, so as long as you like the look of your stitches, you’re good for this one! I am lost row number 11. I cannot find a tutorial on DC around posts of last 2 stitches. Please help as I am stuck now. I’m stuck on 11. It reads, Rnd 11: “Ch 3, dc in the next st, dc around posts of last 2 dc made.” On the tutorial video for this stitch, it looks like you Ch 3, dc in the next 2 st, dc around posts of last 2 dc made. Which way is correct here? Wow! Thanks for the quick response! Your guidance helped me resolve the confusion I having. I can’t wait to finish this project. I’m so glad to hear it, thank you Becky! Love this bag! Have it on my to-do list. I was wondering if you’ve tried the Bernat Maker outdoor yarn? I was thinking of trying it for this but I know I’d really have to change the gauge and not sure I’m up for the challenge. 😁 Plus it seems really stretchy and I don’t want a saggy tote. What is the Magic Circle ? Hi, Tamara! Another great pattern for me to make! Btw, porting is most definitely a word; hence Porter. There must be a better way to print these patterns. I Hit PRINT in order to get the pattern for the” Perfect day Market Tote” and printed 7 pages. That is a terrible waste of paper and ink.